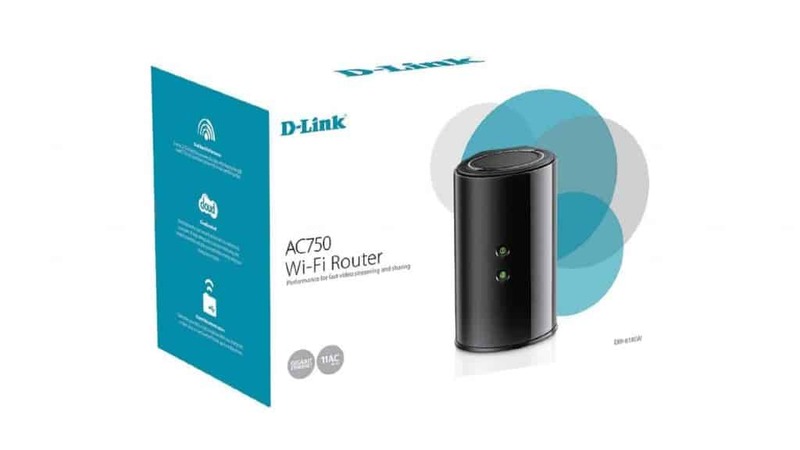 The D-Link DIR-818LW Wireless AC750 Dual Band Gigabit Cloud Router is a perfect router with this type of price range and I hope this router will fit in anyone’s budget, who wants a compact and beautiful router. The router is super compact but there is a little problem in the router and that is, the router is not so much powerful with its performance. If you guys out there wants to use matching gadgets then this router is the perfect solution for them, because this router comes with four different colors. Unfortunately, the router is underpowered for home use. The latest D-Link AC750 (DIR-818LW) doesn’t have that most important feature that is required for a home router. The feature is that the router has a lack of fast Wi-Fi performance and it also doesn’t have the facility of long distance coverage. But these features are simple to have any typical-sized router like this one. The DIR-818LW wireless router is suitable and perfect for a small sized home within this cheap price range. The price of the wireless router is only $80, which is a little bit higher in comparison of its feature. 0.2 What Will You Get When You Buy It? The D-Link DIR-818LW is small enough which makes this router portable; you can carry this router even in your pocket while you are traveling. This router is the latest version of the previous version the DIR-868L, but it is only one-third in the size of that previous version of this router. It is only similar to its previous version with the cylindrical design. The DIR-818 cloud router is now available in four different amazing colors: Black, White, Orange, and Teal. The router is the great one for them who wants to match their tech gadgets as per their wish. The router can also be hanged on the wall. The D-Link DIR-818LW is cheap than other Wi-Fi routers within this price range. The best part of this cheap Wi-Fi router is that, despite its tiny size the router, but it still got four Gigabit LAN ports and a Gigabit WAN port on its back. On the other hand, other typical routers in this price range and with this size have only three LAN ports. The DIR-818LW router has also a USB 2.0 port and with the help of this USB port, you can connect a storage device like a Pendrive. On the front of the router, there are two LED indicator lights which will notify you about the power and the internet connection. If the internet connection is ok the will turn green, and if there is a problem in the connection the LED lights will turn amber. What Will You Get When You Buy It? After opening the box of the router, there will be a label attached on the front side of the router that will give you the information about the default Wi-Fi networks and passwords. There will be a small manual for the Wi-Fi configuration of the D-Link DIR-818LW Cloud Router. The setup of the D-Link DIR-818LW Wireless AC750 is so simple; in fact, you can do it by yourself. You can use this router just after unboxing. First of all, you will have to connect the router to an electric port to give power to the router and then connect your Internet cable like the broadband connection to the WAN port of the router. The default IP address of the router is 192.168.1.1. That’s it you are all set to go with your wireless Wi-Fi router. The default Wi-Fi network name and password will be provided in the user manual of the router in the box. If you want advanced configuration of your network, you will have to visit its Web platform. In their web interface, you will find so many functions to control and manage your D-Link DIR-818LW Wireless Wi-Fi Router. The interface of D-Link DIR-818LW Wireless AC750 is almost same as most of the typical D-Link routers. 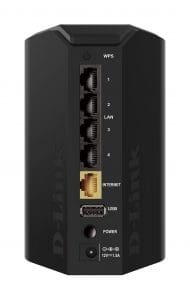 All the routers of D-Link that has been released in the last five years also have the same interface like this latest one. The router is very well managed and well functioned as well. The interface of the router is liked by many users worldwide and they also gave some good positive feedback too. Despite its small size the router has all the required features that are found in any simple home routers. The DIR-818LW has two different guest networks and from these two networks, one network is for each frequency. There are also some great features in the router such as IPv6 support, Firewall, QoS, Dynamic DNS, Web content filtering, port forwarding and much more. The DIR-818LW Wireless Router has a 2.0 USB port, for data sharing and media-streaming requirement. What makes the D-Link DIR-818LW Wireless AC750 Router different is the Cloud Feature. This cloud feature is included in the router which you can’t find in other routers like this one. You can connect the router with a free MyDlink account by using the interface of the router. After connecting your router with your MyDlink account you can access the setting of the router from anywhere in the world. The MyDlink portal will allow you to access the configuration of the router from anywhere in the world, how amazing the cloud feature is? There is also an app for the cloud service of the router and the name of this mobile app is My D-Link Lite. The app is available for iOS and Android both platform. With this cloud feature, you can check your home network whether it is ok or not. Uses the latest Wireless AC technology to deliver fast wireless connectivity with increased range and reliability. 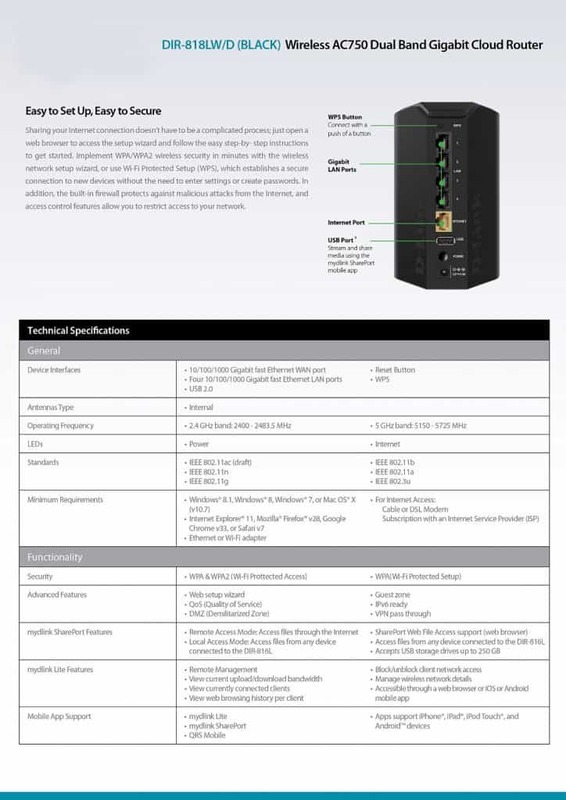 10/100/1000 Gigabit Ethernet WAN port for speedy internet access. Four 10/100/1000 Gigabit Ethernet LAN ports Give you High-Speed Wired Connectivity. Mydlink lite helps you to access, manage and view your network remotely across the internet.